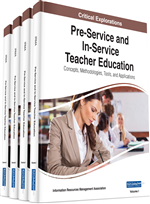 This chapter will share a model for teacher preparation programs to consider when attempting program improvement through the use of edTPA data. This model, regardless of the edTPA context, mandated or voluntary, provides a frame in which teacher education programs can begin using edTPA data for program improvement and can advance their data use towards transformative, institutional improvements. This additive model takes time, commitment, and vision in order to systematically create programmatic improvements. Performance assessment data provides the structure and information needed for units and programs to make these purposeful changes. The increasingly explicit culture of assessment in teacher education, in conjunction with the promise of valid and reliable performance assessments, invites teacher education programs to engage in third spaces with renewed focus. As performance assessments are considered in teacher education, some experts have advocated the use of performance assessments not only to measure the skills of individual teacher candidates, but also to evaluate the quality of the teacher preparation program (TPP) (Darling-Hammond, 2010; Pecheone & Chung, 2006). Since that time, demand for valid and reliable teacher candidate performance assessments has increased (CCSSO, 2012; Darling-Hammond, 2012) while the Council for Accreditation of Educator Preparation (CAEP) advocates drawing on quality data to monitor progress and demonstrate that teacher candidates have positively impacted P-12 student learning (CAEP, 2013). Existing systems for evaluating TPPs use a variety of evidence and methodologies. Some evaluation systems focus primarily on program “inputs” such as faculty qualifications, candidate admission requirements and grade point averages (Feuer, Floden, Chudowsky & Ahn, 2013). Others focus on “process” elements such as student credit hours, time spent in field work, and length of teaching internship. “Output” measures are also used to evaluate TPP effectiveness. One measure of TPP effectiveness is the pass rate of its candidates on state licensure examinations. Each state is responsible for selecting its own licensure criteria. Many licensure examinations are “pencil and paper” tests with no performance component. According to the National Research Council (2008), more than 600 different teacher tests are currently in use. The lack of a common assessment makes it difficult to compare one TPP to another. Together with the American Association of Colleges for Teacher Education (AACTE), the Stanford Center for Assessment, Learning and Equity (SCALE) recently developed a performance assessment that could be implemented across states and across varying institutional contexts. Known as edTPA, the performance assessment was developed to measure teacher candidate readiness and can be used for licensure decisions as well as to support TPP accreditation. EdTPA was nationally validated in 2013 and is currently in use in 35 states (edTPA, 2015a).